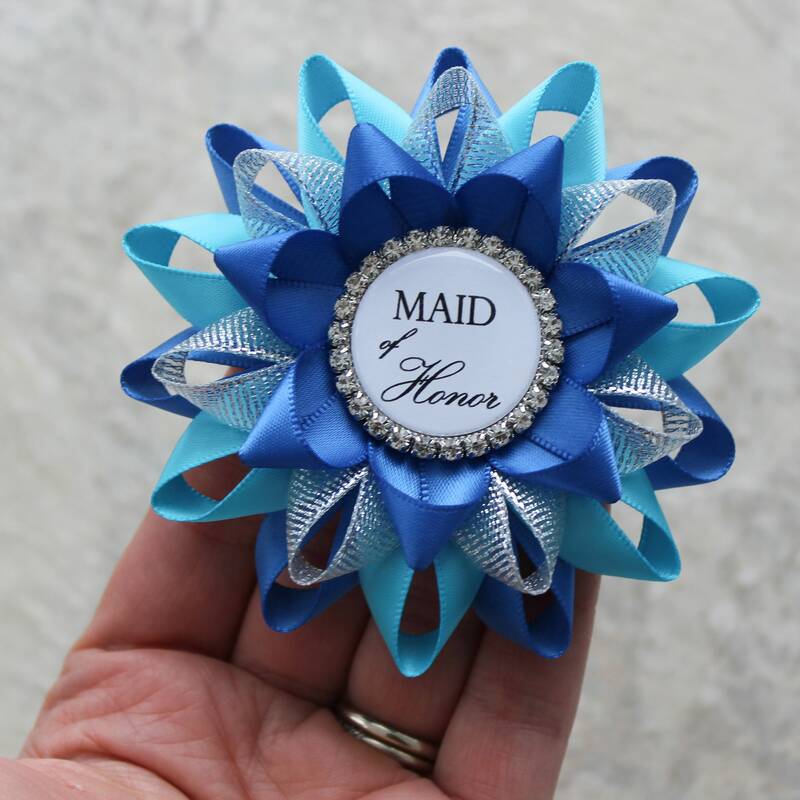 Planning a bachelorette party? 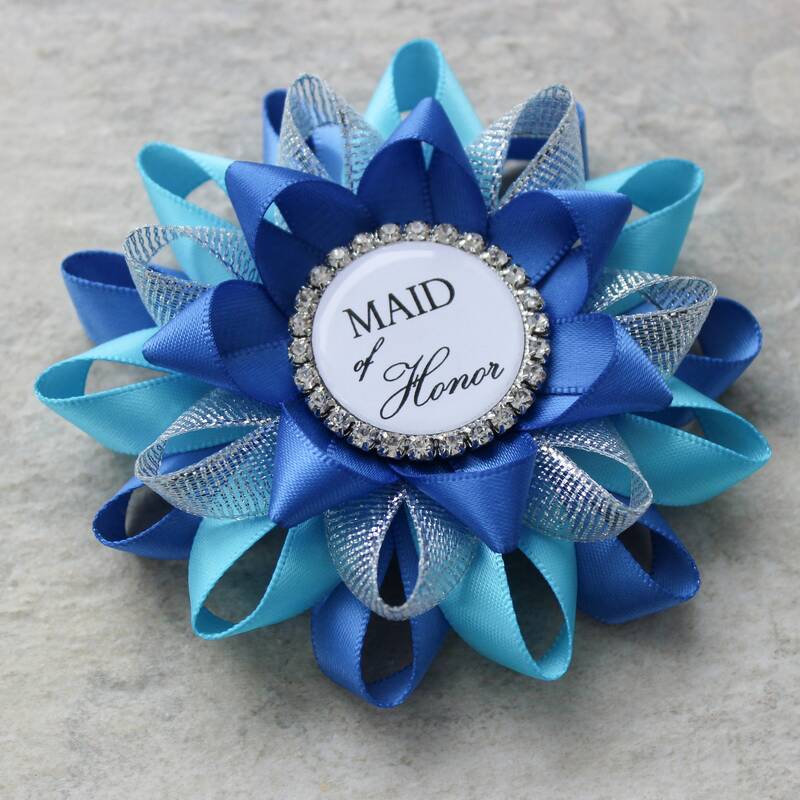 Give your guests of honor this pretty corsage to wear! 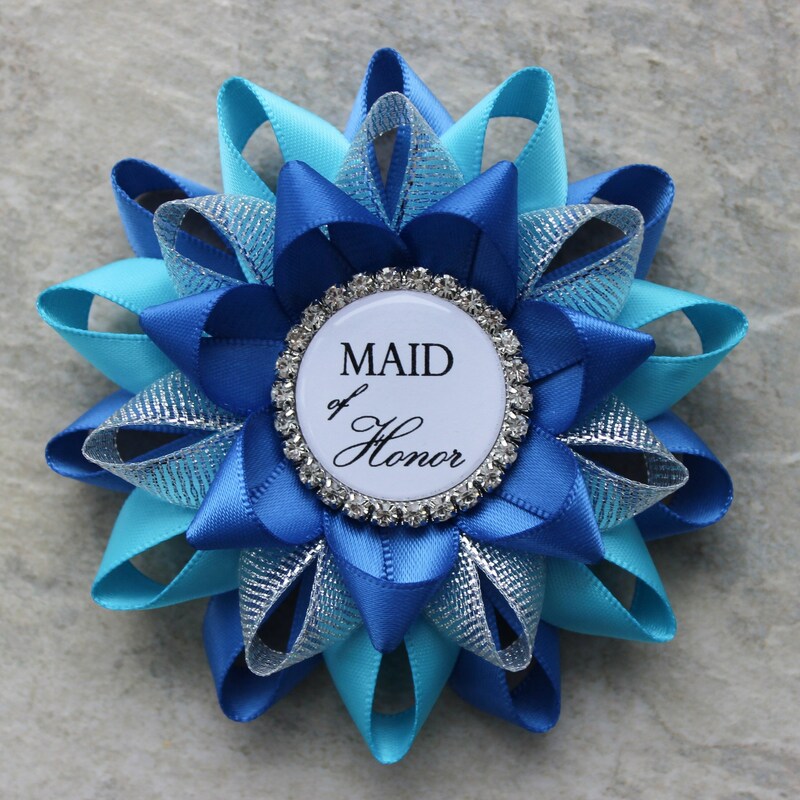 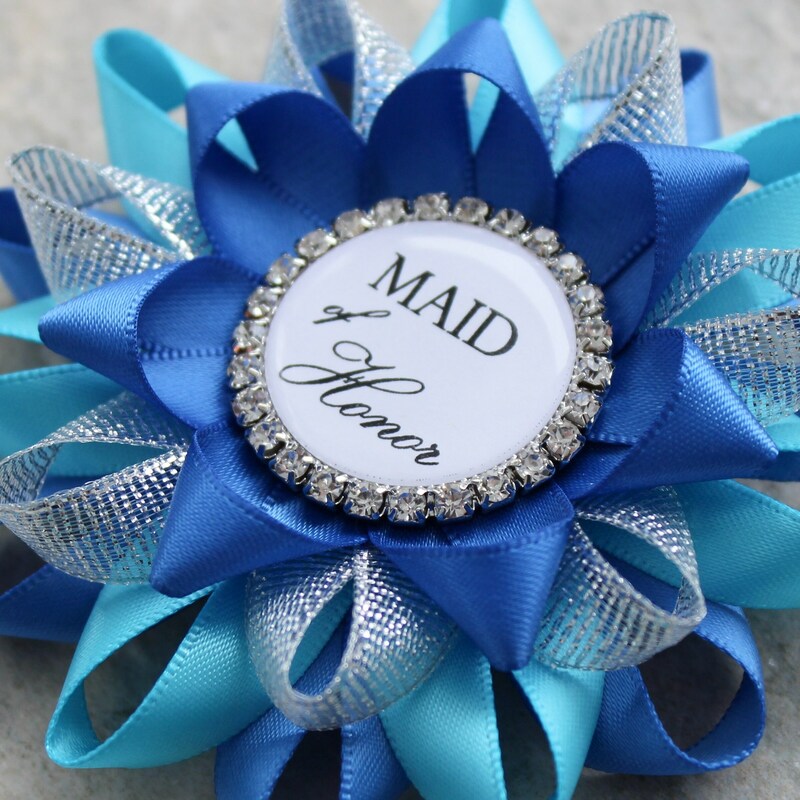 Each flower is 3 1/2" wide and handmade from satin and organza ribbon in Royal Blue, Turquoise and Metallic Silver. 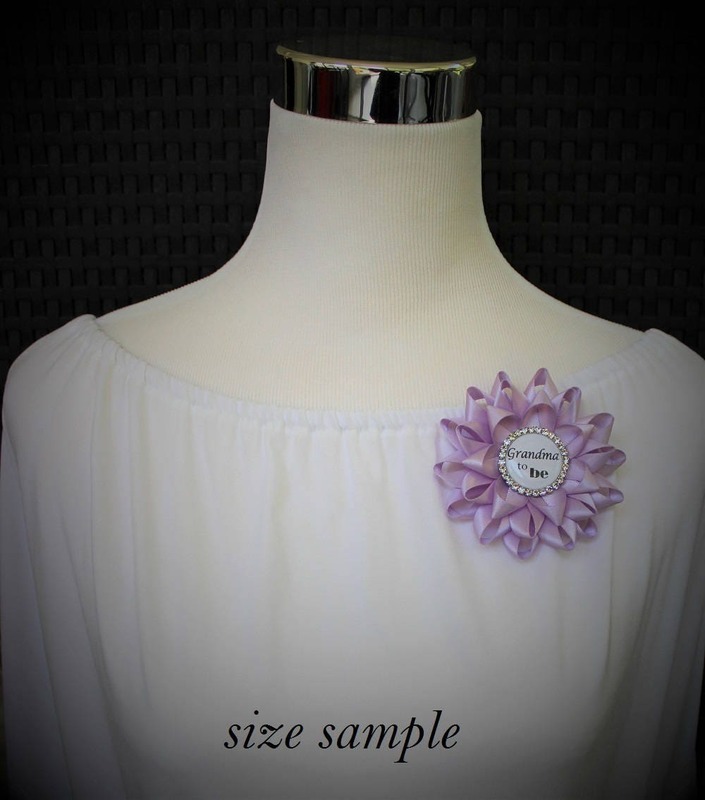 This corsage has a bar pin attached to the back and comes packaged in a cotton lined gift box with silver bow. 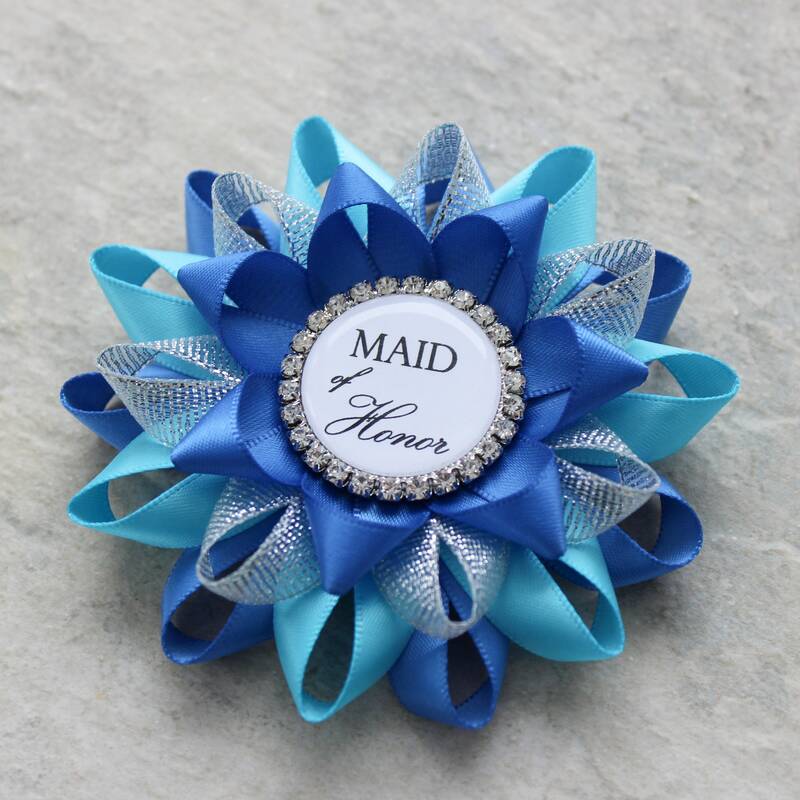 Choose the wording for your guests of honor in the drop down menu. 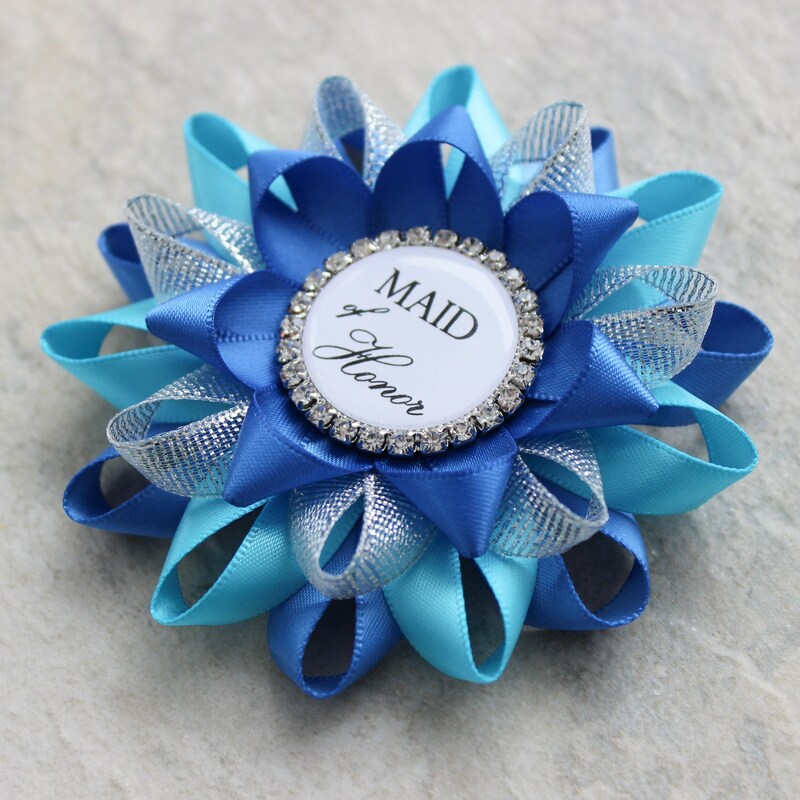 For all other names, please choose "CUSTOM REQUEST" and leave a note during checkout with the exact name or phrase you would like. 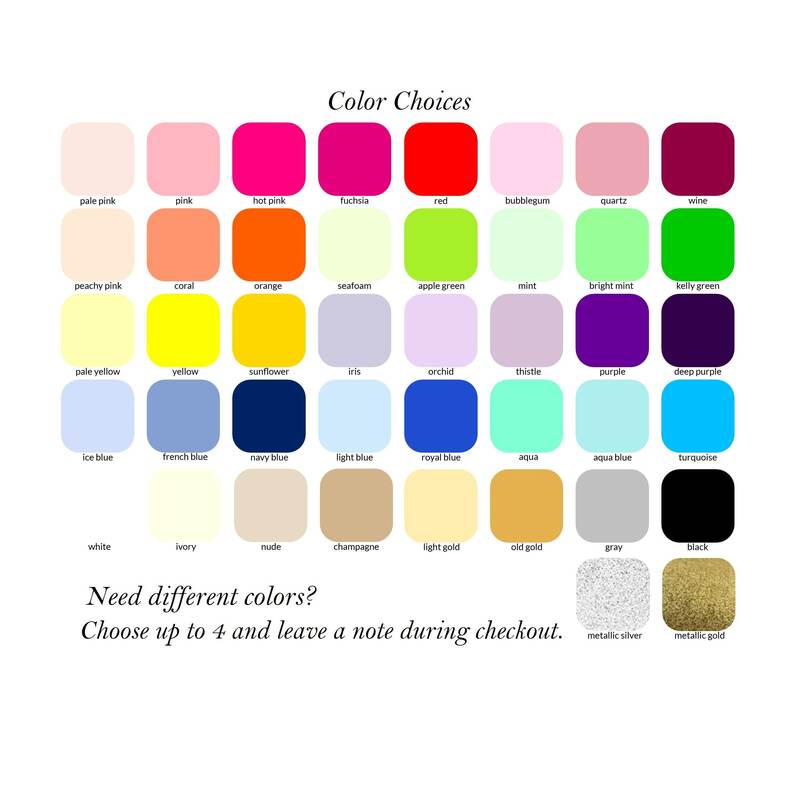 You are also welcome to leave a note regarding any color changes.